This is so common and convenient to use PDF files in our business every day so we just ceased it to notice. This module provides such a small but useful feature for X-Cart. 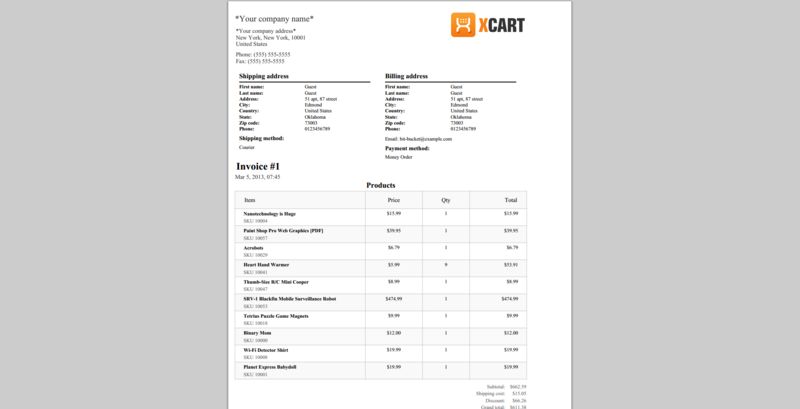 A file with PDF-invoice can be attached to one or multiple orders (is managed from admin side). PDF Invoice is automatically attached to any admin's or customer's letter if it contains an order link. You can enable option "Clear order email content when the invoice is attached" not to duplicate one and the same text in the email body and email attachment. You can set your own filename for the attached PDF-files. PDF-files with invoices are cached separately for admins and customers.